There’s a view that there is a lot less osteoporosis in Asia than here in Canada, yet Asians consume very few milk products. What gives? The link between diet and acne has had a rocky past. Early studies from the 1940s suggested that some foods were linked to acne, but two key studies from the 1970s refuted this notion and indicated that there was no association between diet and this skin condition. In moderation, fat can be part of a healthy diet. Here’s the low-down on trans fats and milk products. 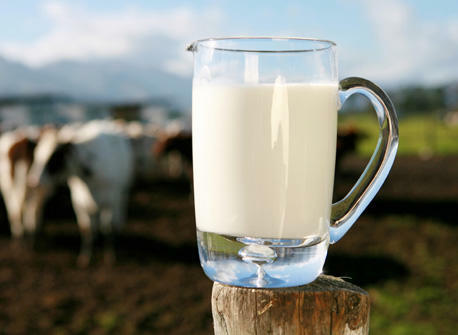 Get the facts on lactose intolerance, the importance of a proper medical diagnosis, and how you can still get the nutrients your body needs after you’ve been diagnosed. According to the National Institutes of Health, the foremost health authority in the United States, most people who are lactose intolerant may still enjoy milk products every day. Here are some tips that can make it easier for your body to digest lactose. The use of antibiotics in the dairy industry is strictly regulated.